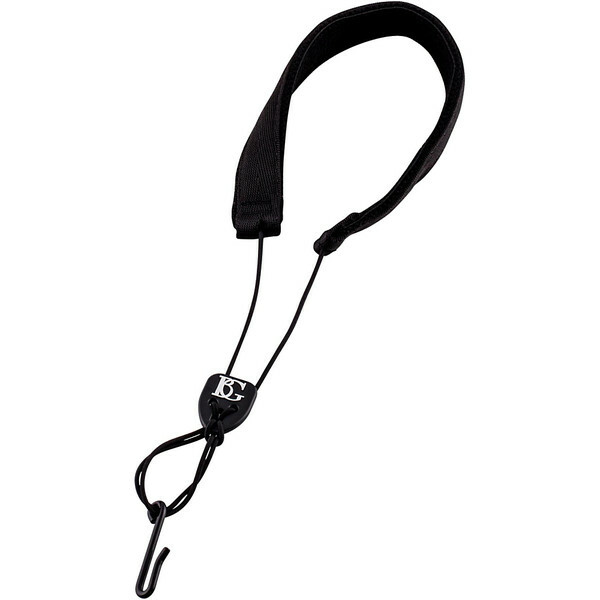 The BG Bb Nylon Clarinet Strap is a durable, versatile strap constructed for use with Bb clarinets, designed to relieve the player from upper body strain and thumb-ache. The Bb Clarinet Strap provides extra stability and takes some of the weight of the instrument. The neck strap has a cotton toweling pad that helps to absorb perspiration and adds comfort. With its cotton towel pad and durable construction, this strap is ideal for younger plays and adults alike.